July 10 (Reuters) – Australia's Mineral Deposits on Tuesday recommended shareholders accept a revised takeover offer from Eramet, noting that the French company had built up a stake that made it the largest shareholder in the mineral sands producer. Mineral Deposits had rejected the revised A$345 million ($256.85 million) offer in June, saying it still undervalued the company. The turnaround in recommendation came after Mineral Deposits noted that Eramet now held a 43.41 percent stake, making it the single largest shareholder, allowing potential control of the composition of Mineral Deposit's board. 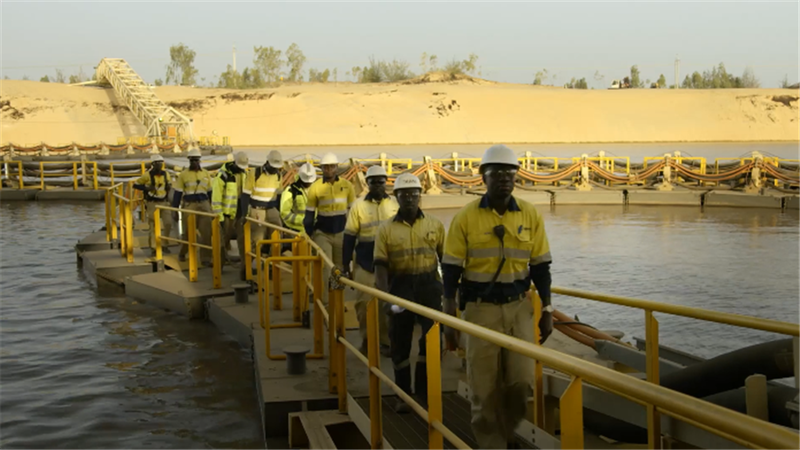 Eramet plans to delist Mineral Deposits if it acquires a 50 percent stake in the Australian company, and intends to replace the board with Eramet's nominees, the Australian company said in a statement. The Australian miner said the liquidity of its shares would likely reduce now that Eramet had effective control, which could lead to a decline in number of trades and potentially lessen the value of shares held by shareholders who do not accept Eramet's offer. "The opportunity for Mineral Deposits shareholders to receive the certainty of A$1.75 per share in cash may be attractive compared to the uncertainties associated with Eramet's ultimate level of control of Mineral Deposits," the company said. The proposed acquisition was aimed at consolidating the TiZir joint venture, in which each company has a 50 percent stake. TiZir operates a titanium dioxide and zircon business in Senegal and Norway that mainly supplies to the paints industry.